“The entire story around the US gold reserves is opaque and secretive. There has never been a full independent audit of the US gold reserves, and the custodians of the gold, the US Mint and the Federal Reserve of New York, will not let anybody into the vaults to view the gold or to count it,” Manly told RT. Germany is in second place with 3,374 tons, but a large portion of its gold reserves are still held in the US. As of last year, Bundesbank has only been able to repatriate 674 tons of gold kept in Paris and New York since the Cold War. 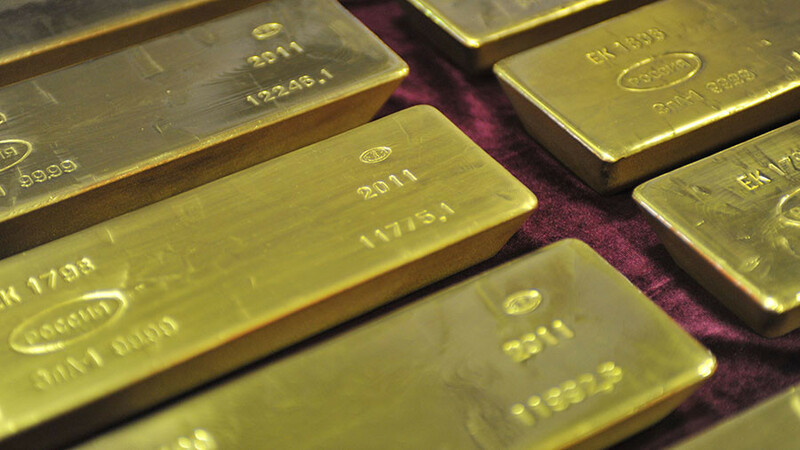 Over 50 percent of Germany’s gold reserves are now in Frankfurt. The remainder is stored in London and New York. The International Monetary Fund (IMF) owns 2,814 tons of gold. France is the fourth-biggest bullion holder. The CBR has more than doubled the pace of its gold purchases, according to Gold.org data. It has been increasing the country’s gold reserves to meet the goal set by President Vladimir Putin to make Russia less vulnerable to geopolitical risks. The Russian gold hoard has increased by more than 500 percent since 2000. Russia is also the third-largest producer of the precious metal. The government has purchased two-thirds of all the gold mined in country, buying it from local banks, as the Kremlin sees the precious metal as a safe haven at a time of geopolitical turbulence.